Is It Time to Stop Procrastinating About Your Financial Plan? Some things to think about as you get started with your strategy. First, look at your expenses and your debt. Review your core living expenses (such as a mortgage payment, car payment, etc.). Can any core expenses be reduced? Investing aside, you position yourself to gain ground financially when income rises, debt shrinks, and expenses decrease or stabilize. Maybe you should pay your debt first, maybe not. Some debt is “good” debt. A debt might be “good” if it brings you income. Credit card debt is generally deemed “bad” debt. If you’ll be carrying a debt for a while, put it to a test. Weigh the interest rate on that specific debt against your potential income growth rate and your potential investment returns over the term of the debt. Implement or refine an investment strategy. You’re not going to retire solely on the elective deferrals from your paycheck; you’re to going retire (hopefully) on the interest that those accumulated assets earn over time, assisted by the power of compounding. Manage the money you make. If you simply accumulate unmanaged assets, you have money just sitting there that may be exposed to risk – inflation risk, market risk, even legal risks. Don’t forget taxes. The greater your wealth, the more long-range potential you have to accomplish some profound things – provided your wealth is directed. If you want to build more wealth this year or in future years, don’t go without a risk management strategy that might be instrumental in helping you retain it. Your after-tax return matters. Risk management should be part of your overall financial picture. Request professional guidance. A considerate financial professional should educate you about the principles of wealth building. You can draw on that professional knowledge and guidance this year – and for years to come. This material was prepared by MarketingPro, Inc., and does not necessarily represent the views of the presenting party, nor their affiliates. All information is believed to be from reliable sources; however, we make no representation as to its completeness or accuracy. Please note – investing involves risk, and past performance is no guarantee of future results. The publisher is not engaged in rendering legal, accounting or other professional services. If assistance is needed, the reader is advised to engage the services of a competent professional. This information should not be construed as investment, tax or legal advice and may not be relied on for the purpose of avoiding any Federal tax penalty. This is neither a solicitation nor recommendation to purchase or sell any investment or insurance product or service, -and should not be relied upon as such. All indices are unmanaged and are not illustrative of any investment. For more information about any of the products and services we provide, schedule a meeting today or sign up for our newsletter. Investment advisory services offered only by duly registered individuals through AE Wealth Management, LLC (AEWM). AEWM and Saturn Wealth are not affiliated companies. Investing involves risk, including the potential loss of principal. No investment strategy can guarantee a profit or protect against loss in periods of declining values. None of the information contained on the website shall constitute an offer to sell or solicit any offer to buy a security or any insurance product. Any references to protection benefits, security, or steady and reliable income streams on this website refer only to fixed insurance products. They do not refer, in any way, to securities or investment advisory products. 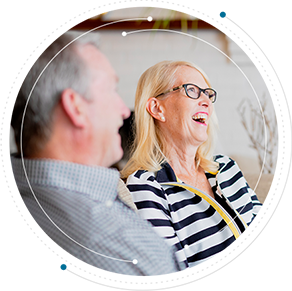 Annuity guarantees are backed by the financial strength and claims-paying ability of the issuing insurance company. Annuities are insurance products that may be subject to fees, surrender charges and holding periods which vary by insurance company. Annuities are not FDIC insured. The Society for Financial Awareness (SOFA) is a paid membership organization composed of professionals of varying specialties. SOFA is a 501(c)(3) non-profit organization whose focus is to provide financial education to individuals, businesses and organizations through member professionals. The SOFA logo and/or trademarks are property of their respective owners, and no endorsement of Saturn Wealth or its representatives is stated or implied. Neither the firm nor its agents or representatives may give tax or legal advice. Individuals should consult with a qualified professional for guidance before making any purchasing decisions. Saturn Wealth is not affiliated with the U.S. government or any governmental agency.